Stefano Gandolfi received the Degree in Physics (with laude) in 1993 and the Ph.D. in Geodetic and Topographic Sciences from the University of Bologna in 1997. 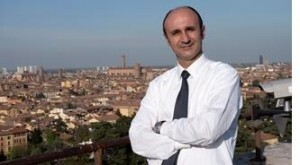 He is currently associate professor of Geomatics at the University of Bologna and coordinator for the MSc degree within the Environmental Engineering program. Currently he’s teacher of two courses particularly addressed to monitoring aspects of structures and territory both for MSc in Civil Engineering and Environmental Engineering programs. Since February 2007 is member of Scientific Committee of SIFET (Italian Society of photogrammetry and Topography) and since January 2011 is Chair of ASITA Scientific Committee (Italian Federation of the scientific associations of Environmental and Territorial Information). From 2008 is associate editor fo Applied Geomatics (Springer) and referee for several journal that operate in the framework of geodesy and geomatics. His scientific interests concentrate on the definition and maintenance of regional reference frames and on the use of GNSS data for monitoring deformation processes of structures and the territory using different geomatics technologies but with a particular interest in GNSS. He was also involved 6 Antarctic Expeditions of the Italian National Program for Antarctic Research where he has developed research activities on Geodesy and GNSS mainly for geodynamics and glaciological purposes. He is author and coauthor of more than 60 papers in international journals or Conference proceedings and others contributes in national conferences or journals.